​Celeste Del Russo directs the Rowan Writing Center, where she collaborates with students, tutors, and faculty across the disciplines. As a teacher, she writes with her students to articulate the connections between place, learning, and knowledge production, and her pedagogy engages students with resources available on campus and in their local communities. Currently, she teaches Tutoring Writing. ​Hi everyone, I’m Cassie! I’m a senior with a major in Communication Studies and a minor in Psychology. This is my third year with the Rowan Writing Center. I am passionate about writing both creative and otherwise, and I love helping my peers reach their fullest potential in their own writing endeavors. I also have experience in public speaking and love to encourage confidence in my tutees. I’ve recently returned from a semester abroad, so make an appointment and talk to me about Europe! ​Morgan M. Douglas is a STEM and Writing Arts tutor that appreciates STEM academic writing, composition writing, personal fiction/creative non-fiction/& poetry. As the STEM coordinator Morgan is currently developing supplementation materials for undergraduate STEM students and for graduate nursing students. After Rowan, Morgan will be pursuing her Master’s in Medical and Technical Writing before attending medical school to become a pediatric orthopedic surgeon and podiatrist. 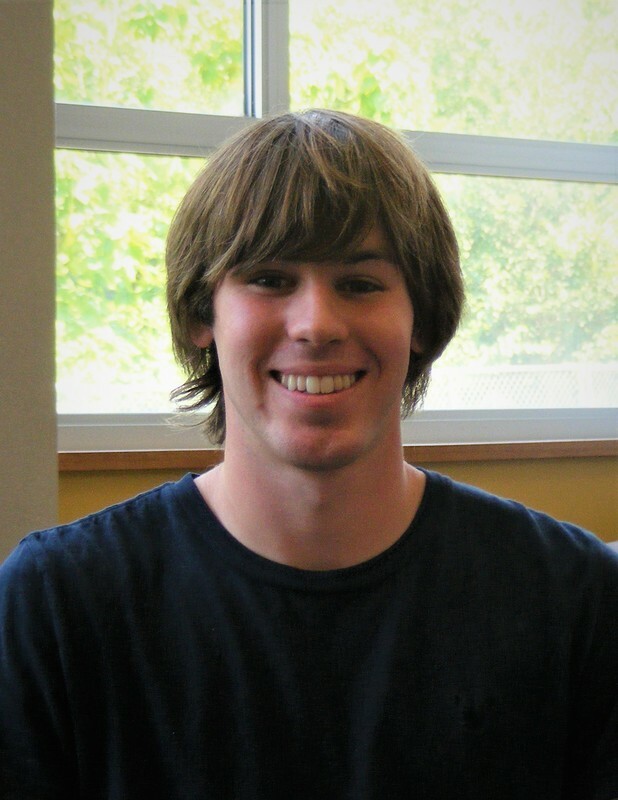 ​Hi, my name is Dom, and I work in the Rowan Writing Center. As a Writing Arts major, I feel very fortunate to have this place. Its a low-stress environment, its bright and welcoming, and it exists solely for the means of personal productivity and improvement. I am incredibly grateful that I can play a part in alleviating some of the pressure that many fellow students feel on the day to day, while also being able to learn from every new person I meet and every paper I read. I look forward to working together. 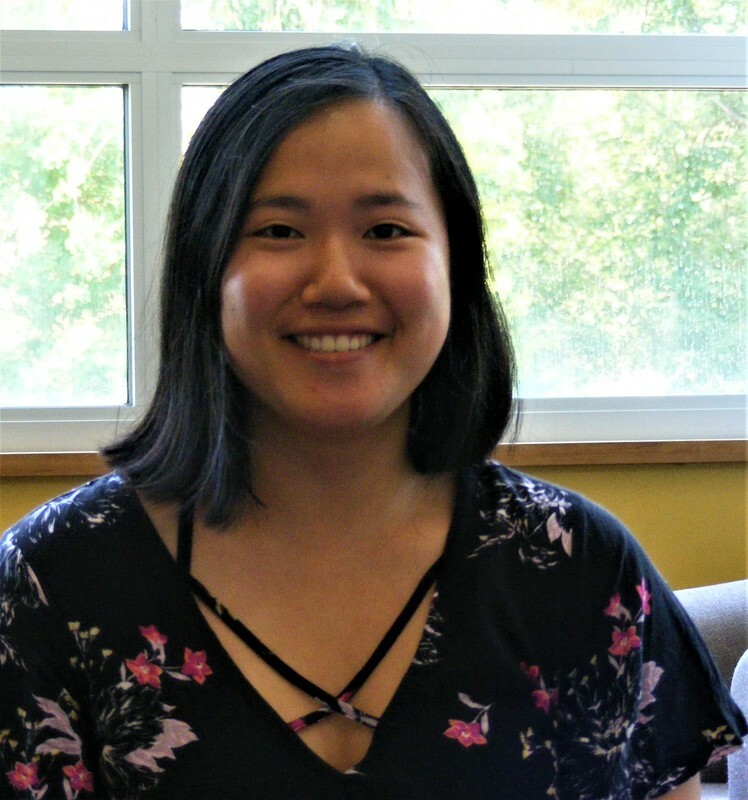 Sarah is a second year graduate student in Rowan’s Master’s of Arts in Writing program, and has been a tutor at the Rowan Writing Center since the Fall of 2017. Sarah earned her BA from Rowan in May of 2017. She was a Writing Arts major with a concentration in Women and Gender Studies. In the Fall of 2018, Sarah will join the Writing Arts department faculty as a part of the Teaching Experience Program, where she will be teaching College Composition 1. Sarah specializes in tutoring rhetoric and thesis-driven assignments, as well as assignments based around social issues or current events. She also very much enjoys reading creative pieces. Sarah has a background in theater, so feel free to bring her any speeches or presentations! Hi! I’m Laura Kincaid and I’m a senior at Rowan University. I’m pursuing a BA and MA in Writing Arts 4+1 program with concentrations in creative writing and new media/publishing. I’ve taken writing classes across disciplines, including Comp I&II, Technical Writing, Writing Research & Technology, Creative Writing I&II, Shakespeare I, etc. I look forward to meeting writers who share my interests and those who have different interests. No matter what your writing deals with it, we can make it better. When I’m not tutoring, I enjoy reading, podcasts, and making cosplays. See you soon! ​Genna is a senior Elementary Education and Liberal Studies major with a concentration in Honors. She is involved in organizations on campus such as Alpha Sigma Alphaangelica, Student Alumni Association, and some Honors groups. She holds multiple leadership roles on campus and is a second-year tutor at the writing center. She is very excited to continue tutoring this year! Grace Van Cleef is a junior double majoring in Psychology and Communication Studies. This is her second year working at the Writing Center. She also works on campus as a research assistant in Rowan's ASSeRT (Aggression, Substance Abuse, and Sexuality Research Team) Lab, where she is in charge of a study on romantic orientation. She loves music and performing, and is a member of the Honors Jazz Band, Honors Murder Mystery Dinner, Rowan Vocals a cappella, and Rowan's concert choir and concert band. In her limited free time, she enjoys cooking, hanging out with her friends, and sleeping. She would love to help with papers regarding psychology, social justice, politics, music, or any other topics! Hi! My name is Julia Taormina and I am junior here at Rowan. I am studying Elementary Education and Writing Arts. Although this is only my second year at the Writing Center, I quickly learned that I love helping others reach their academic goals. My favorite pieces of writing are creative and professional writing. However, I am open to help with any kind! Outside of the classroom, I am involved in Rowan’s Dance Team and Delta Phi Epsilon sorority. I look forward to meeting you! Hi! My name is Baillie Dougherty and I am a Junior Writing Arts and Early Childhood dual major here at Rowan. Throughout my experiences at Rowan, I have taken many writing courses such as, College Composition I, College Composition II, Writing Children’s Stories, Intro to Writing Arts, and I am currently enrolled in additional classes for the Fall semester. Although I write in different styles for my classes, I have an interest in technical and professional writing. At school, I also have taken a variety of classes from different departments. The classes include, Science and Social Sciences, and many Education courses. As a tutor, I am very eager to help as much as I can with any writing questions, concerns, and assignments. Outside of school, I like to travel, listen to music, and do anything outdoors. At Rowan, I am apart of the Delta Phi Epsilon Sorority and am a member of the Early Childhood Club. I look forward to working with you in the future! My name is Maddie Carroll. I have worked in the Writing Center for a year. I am a graduate student in Writing. I went to Rowan for my undergrad as a Writing Arts major with specializations in Creative Writing and Technical and Professional Writing. In my undergrad took How Writer’s Read, The Writer’s Mind, Writing, Research and Technology, as well as Intro to New Media. I also have a Certificate of Undergraduate Studies in French. I studied Creative Writing in London, England in the Summer of 2017. Currently, I teach College Comp 1 here at Rowan, so I am very familiar with the comp assignments and willing to help. I am well versed in several Adobe Programs and other editing software, so I am able to help with multimodal projects. Hello! My name is Julie Darpino. I am a senior and first year graduate student pursuing my Bachelor’s & Master’s Degrees in Writing Arts through the 4+1 program with a concentration in Creative Writing. My ambition is to use my degrees to teach college writing. I am experienced in writing academic papers such as, research reports, essays, resumes, and annotated bibliographies. I am also skilled in a variety of creative writing genres such as, nonfiction, fiction, poetry, and children’s stories. I am happy to help at any stage of your writing process and look forward to working with you! My name is Kwame, I am a biological science major, I love all things biology, and I enjoy reading academic papers pertaining to biology. Lab reports are an essential aspect of my academic career at Rowan University, and over the course of my time at Rowan, I have helped many students with research papers, lab reports, and essays. My interests are not limited to my field of study, from philosophy to invertebrate zoology, all fields of study pique my interest. I love to write in my spare time, keep up to date with politics, global and environmental issues. I read when and if I can my interests are not limited to one particular genre. I am always happy and willing to help. 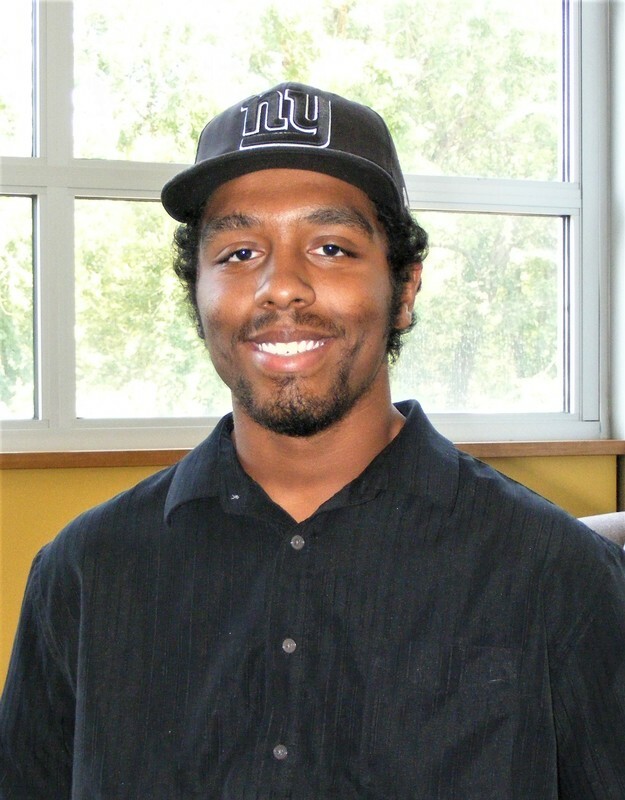 My name is Caleb Jones and I’m a sophomore here at Rowan, pursuing a Bachelor of Arts degree in Psychology with a minor in Sociology. Within the Social Sciences discipline I have spent a great deal of time writing research essays, analysis papers, and more. I have experience with both MLA and APA formatting. I am also very passionate about poetry and other forms of narrative literacy. Aside from writing, I enjoy making music and art. Anything that involves creating is a thing for me. I’d love to help you create, too, starting with a fantastic paper. Maybe after that we could start a band, or paint a gigantic mural. We can discuss it when we meet. Hello, I’m Lia Mahoney and I’m a sophomore Mechanical Engineering Major looking to specialize in Acoustical Engineering. So far at Rowan I have written professional memos, white papers, and engineering reports for engineering clinic. Last semester I worked with other students and faculty on a Research Project about the Entrepreneurial Mindset. I am continuing to work on the final stages of that research paper that will be published within the next year. I can help with professional engineering papers, analytical essays, and more. When I am not writing for school I enjoy writing fictional stories. I’m excited to get to know and help my fellow students. 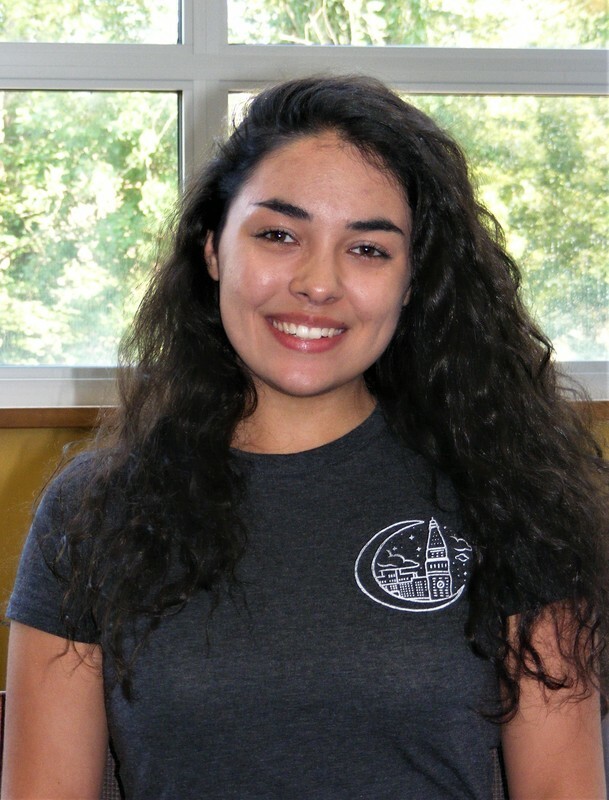 ​Hi, I’m Nicole Tota and I’m a sophomore dual major in English and International Studies, with a concentration in European and Russian Studies. I am also a proud member of the Bantivoglio Honors Concentration. I’d be delighted to read your writing and help you take your compositions from “great” to “phenomenal! !” In my spare time, you can find me reading, writing poetry and prose, crocheting, scrapbooking, and enjoying a good cup of tea. I can’t wait to meet you! ​My name is Brody Steele. I am a Junior in Environmental Studies with a minor in Planning. I am also a part of Rowan University's Geo-Club, and will be the acting treasurer for the 2018-2109 term. I like to hangout at the rec center and make music with other students on campus. My name is Shanara Chung. I am a Junior Biological Sciences major, with a minor in Creative Writing. I like to call myself a committed STEM major having an affair with the arts. As a Biological Science major, I have become well versed in writing scientific lab reports. I also enjoy writing creative pieces such as poetry and spoken word. In my creative writing courses, I have practiced writing creative short stories. I am a peer mentor for the Harley Flack Mentorship Program and have served as a Public Relations Chair for the Student Organization for Caribbean Awareness. I am excited and eager to assist you with your writing needs. Nia Tift is a second year psychology major with a dual concentration in French and Dance. She was a Supplemental Instructor for the 2018 edition of the ASCEND Pre-College Institute program. She enjoys working and participating with the Office of Social Justice and Conflict Resolution; such as, Dining for Diversity and Women’s History Month events. She was a mentor for the Harley E. Flack High School Mentoring Program and had the pleasure of being mentored via the Harley E. Flack Mentoring Program. She considers herself to be an inspirational writer and an avid reader of realistic fiction. My name is Courtney Johnson and I am a sophomore Physics Major pursuing minors in Math and Civil/Environmental Engineering and a certificate of undergraduate study in Computer Programming. I was previously a drop-in math tutor and am currently a member of the Engineers Without Borders clinic team and the Concert Band. Besides the papers completed in classes including Comp I &amp; II and Philosophy of Science, I have written physics lab reports, technical reports, literary criticism, and more.Writing is something that I thoroughly enjoy, and I am looking forward to pursuing this interest while helping others to improve their writing pieces. Hi, my name is Laura Foley. I am a Senior Theatre major with a dual major in History. I am skilled researcher and I’m happy to help others with their research as well. Besides my history classes, I have taken numerous writing intensive courses in different fields such as Comp I, Comp II, Dance History, Writing for Managers, and Shakespeare I. I also enjoy writing short stories and poetry. I am happy to help other students improve their writing and research techniques. Hello, my name is Angelica! I am a junior studying Early Childhood Education and Literacy Studies. I am a member of the Achieving the Dream Scholarship program. I spend a lot of time at the Early Childhood Demonstration Center on campus I am a student worker there. Spending time with the children is great experience and lots of fun! I enjoy writing research and analysis papers on educational practices, but I also like exploring multi-genre writing in my free time. I hope to pursue curriculum and instruction in graduate school. I love attending concerts and spending time at the beach. I look forward to reading your writing and working together! Hi my name is Charlie Rickle and I am in my sophomore year working towards my Bachelor's degree in Music (and hopefully maybe Music Therapy!) I have an intense passion for writing whether it be an essay or when creative writing! Outside of writing I pursue my love for music with the university's collegium and by working on some music on my own. I look forward to seeing what amazing things you can create! Dina Folgia is a sophomore Writing Arts major with dual concentrations in Creative Writing and New Media Writing & Publishing, as well as an Art History minor. Along with being a transfer student and a University Scholar, she is an active member of Rowan's theater and dance community. Additionally, she is an Assistant Editor of Avant magazine and experienced in both editing and critiquing writing. Hello, my name is Anthony and I am a sophomore double majoring in English and Radio, TV, and Film with a minor in Creative Writing. I am a member of the Rowan Television Network and Cinema Workshop. As a writer I have a passion for fiction, poetry, screenwriting, and anything else that gives me the potential to create. In addition, I have a deep love of music, as a singer and a guitarist, with a specific love for classic rock. I am always ready to help with whatever I’m able to and always look forward to learning and finding new experiences! Hello! My name is John Egan. I am a currently a sophomore double majoring in International Studies and Modern Language and Linguistics. My primary foreign language, at the moment, is Japanese. Before choosing International Studies and MLL, I had a heavy emphasis in Political Science and History. On top of these academic interests, I have experience with creative writing, music, videography, and computers/technology. In my free time, I like to perform music, go to concerts, travel, and read/watch/play all kinds of stories. I’d love to help with any of those topics and more! My name is Alex Geffard and I’m a Senior Writing Arts Major in both the Degree in 3 BA and 4+1 MA programs, specializing in Creative Writing. So far, I have taken such classes as Comp II, Creative Writing I, Writing Creative Nonfiction, The Writer’s Mind, How Writers Read, Rhetorics of Style, Film Scenario Writing, and a couple of Writing Arts internships. I have spent many of these classes learning about Rhetoric, the art of persuasive influential writing using figurative language and varying sentence styles. I have used what I have learned in these classes and the skills that I have developed to co-author a conference paper and presentation on the negative effects of binge-watching with a Writing Arts professor. I have also constructed a fully operational film review and analysis website as part of my senior project. Outside of Writing Arts, I have a passion for Cinema and would like to become a professional film critic. I was born in the US in a multicultural family, and I lived in France for several years, where I learned to speak and understand French. In addition to my appreciation of Cinema, I am well-versed in Classic Rock, comic books, and most things pertaining to geek culture. My other interests include swimming, fencing and Aikido. If you are a Federal Work Study student interested in an office assistant position, apply to the writing center by emailing us at writingcenter@rowan.edu with a resume.